We are still waiting for Apple to officially announce the second generation Apple iPad, the iPad 2, and have heard a bunch of rumors on the specifications on the iPad 2. Now three new iPad models have turned up in Best Buy’s store database system, with three new iPas SKUs which possibly relate to new versions of the Apple iPad. 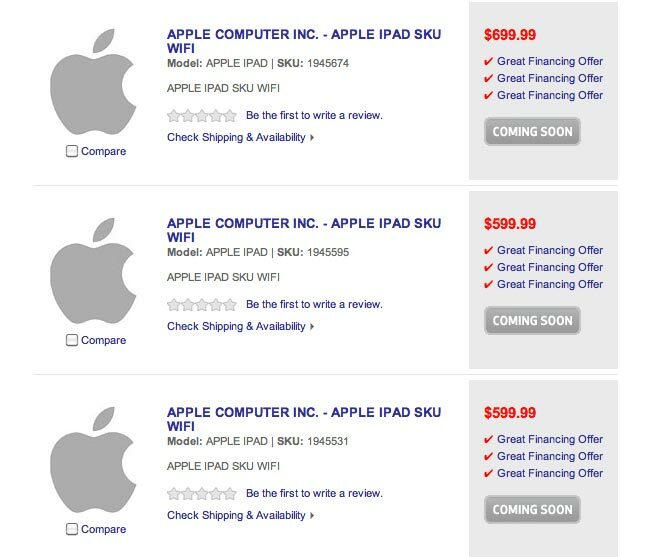 As you can see from the screenshot above, the three models are listed as Apple iPad SKU WiFi, and two are priced at $599 whilst one is priced at $699, and they have appeared in the Best Buy system as ‘unreleased’ products which gives us the impression they are in fact the iPad 2.